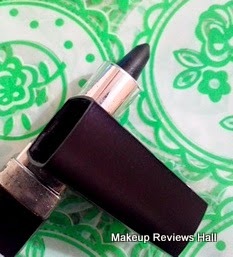 Nature's Essence Bridal Kajal - Black - Review & Swatches. 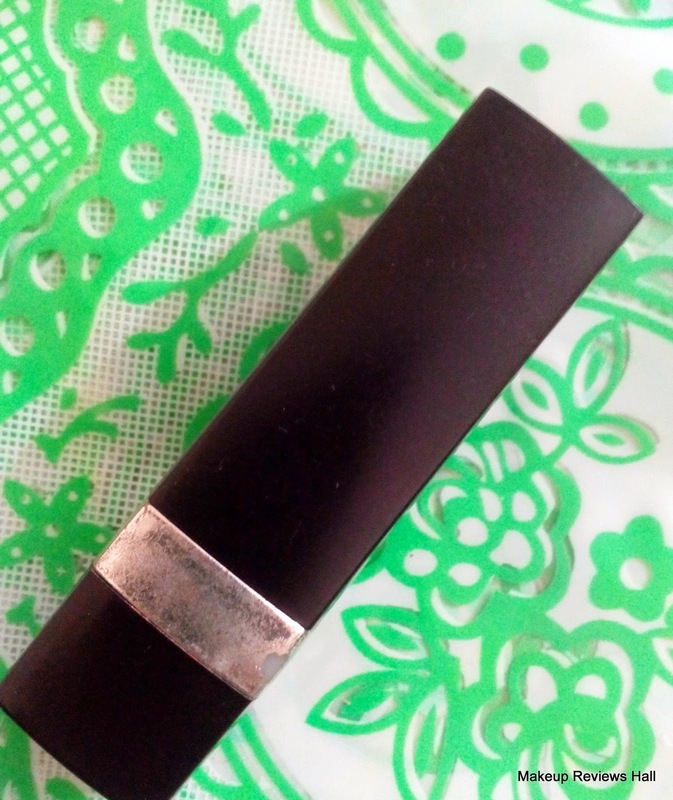 I have done so many posts on kajal reviews including the best kajal post and this is another post on a kajal from a different brand - Nature Essence Bridal Kajal in shade black. I bought this kajal long ago but somehow its review was being delayed again and again, finally its here. As I mention again and again I have sensitive watery eyes and very few kajals suit me, because either they sting or smudge like anything and in any case I cant use them. But somehow after a long search and experiments with infinite kajals including Lakme Eyeconic Kajal, Shingar, Colorbar, Coloressence Kajal, and many more, I have managed to get few kajals of my choice which I have added in my Favorite Kajal List. Maybelline Colossal Kajal being on top, then Oriflame Kajal and then Faces Kajal. Now this Nature Essence Bridal Kajal is also into the list. 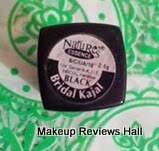 Read the review below to find what I liked about this Nature Essence Bridal Kajal. I have seen many Nature's Essence Products at Homeshop18, including some of its highly raved products like diamond facial kit, bridal facial kit, bridal glow pack and this kajal also comes from its bridal range. The kajal comes in a nice packaging in a twist up form and is very travel friendly and less prone to breakage like unlike Kajal pencils. The packaging of this Bridal kajal is somewhat similar to Coloressence and Faces Kajal. The tip of this kajal is sharp initially and helps in drawing a sharp thin line in the lower lids according to suitability but however after sometime the tip becomes blunt and unable to give a sleek sharp look which I love for daily use. I don't like to apply thick kajal on daily basis. But if you are a perfectionist in applying kajal, you can sill manage to give a sleek look with it. 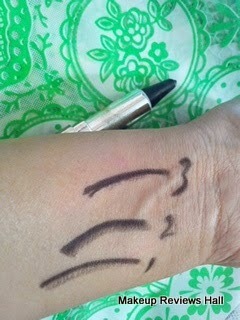 The kajal is nice dark black in shade and gives a nice dark shade in just one swipe. However its not even that jet black in one swipe, so I go for two swipes while applying on eyes, because as said I have sensitive eyes and I don't put even a little pressure or effort on them. I just run the stick smoothly and do it twice to get my perfect shade and look. Take a look at the swatches below. You can see how the blunt tip leaves an effect below in two swipes but if applied properly it gives a sleek look like below shown on 3 swipes. Now coming to the best part of this Nature Essence Bridal Kajal. Well for me two things are really important while choosing a kajal, one it should not sting and secondly it should be smudge free, if not completely but at least non smudging for few hours. This bridal kajal is able to give satisfactory results in both these areas. The kajal does not sting at all on my sensitive eyes and remains almost smudge free for first 3-4 hours, after which it starts smudging and its little more early in summers because of oiliness and sweat. I would not say this is one of my best kajal, but definitely a good kajal in this price. It does not sting, gives jet black color, contains herbal ingredients, remains smudge free for few hours and its affordable. Overall its pretty much a descent kajal. This is how it has worked for me, maybe it can give much better results on your eyes, since it depends from person to person. Does not sting even on sensitive eyes. Smudge free for few hours. Becomes blunt after sometime, difficult to get sleek look with a blunt tip. I hate this one as it smudges.. nicely reviewed! !